This new line called Melodies by MJB will be released in October at Nordstrom and Bergdorf Goodman. The collection will be comprised of four styles: an aviator shape (Incognito), classic oversize (Red Carpet and MJ’S) and a geometric retro style with side cutouts (showtime). They will be available in four to six colors. Two more styles are set to be added later on in the year. 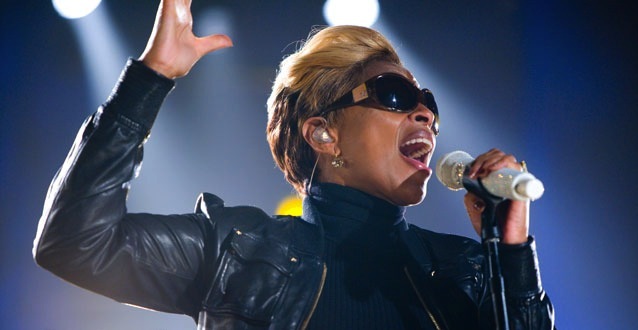 Blige teamed up with Orange 21 to create her new line of sunglasses. Jimmy Lovine, chairman of Interscope Geffen A&M Records, her label, recommended the manufacturer.